At this point, Destiny Activated is not completed. It is still in the process of being developed. As a result, it is not available for purchase. However, you can download Weeks 1 and 2 for free. In Destiny Activated Month 1 you will begin to discover your destiny and life's purpose. You will have a strong understanding of what spheres of cultural influence you can impact. You will also have the joy of dreaming with God. While you do so, God will begin to uncover many of your heart's desires. You will begin to learn how to hear God's voice, and then move into action on what you hear. You will also begin to remove obstacles hindering your destiny. Some of the various obstacles that will be removed include: unforgiveness, rejection, rebellion, and stubbornness. Download Destiny Activated Week 1 for FREE! Download Destiny Activated Week 2 for FREE! In Destiny Activated Month 2 you will be in full swing of removing junk, hindrances, and obstacles that might be blocking your destiny and life's purpose. You will learn to take the authority found in Christ Jesus to: break unbroken curses, bash fears, receive freedom from eating disorders, receive deliverance from substance abuse, receive healing from abortion, experience healing from sexual sin, break unholy soul ties, destroy the works of the flesh, and shatter suicidal tendencies. As these wounds and traumas are removed, you will begin to discover the valuable treasures God has placed within you. Read about a number of miracle testimonies in our blog, Belief Bottle! Sign up for Glory Bottle, our FREE weekly email support and encouragement. 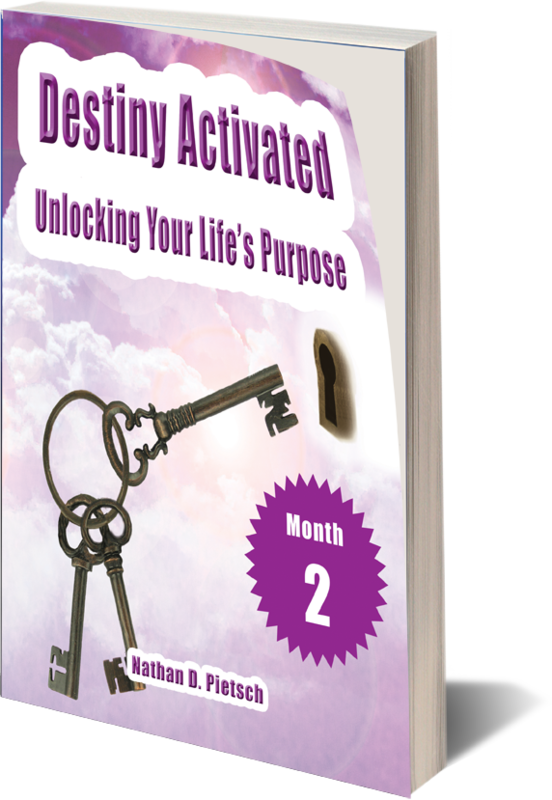 Learn more about Destiny Activated's Four Phases and Promotion System.